O2: entering a new era? 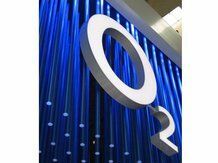 O2 has posted a loss in Q2 of this year, with revenue down to £1.37 billion year on year. The network operator's total revenue dropped 4.8 per cent, possible due to the introduction of the iPhone. However, the results did exceed analyst's expectations, so the news isn't all bad for O2, which has enjoyed massive success with the latest iPhone update, the iPhone 3G. The network has begun to offer subsidies on Apple's handsets, so there may be a hit on profits once more in the short term; however, the subscriber base will likely improve significantly. The loss wasn't helped by the fact the average revenue per unit fell to £44.10 per unit in Q1 to just £42.20 in Q2, which may not seem a huge amount, but when extrapolated across the 18.7 million consumer base, makes a big difference. However, the good news for O2, which offers network coverage for Tesco Mobile, was it made a total of 274,571 net additions during Q2, which was over eight times the amount at the same point last year, so the future looks healthy for the UK company at least.